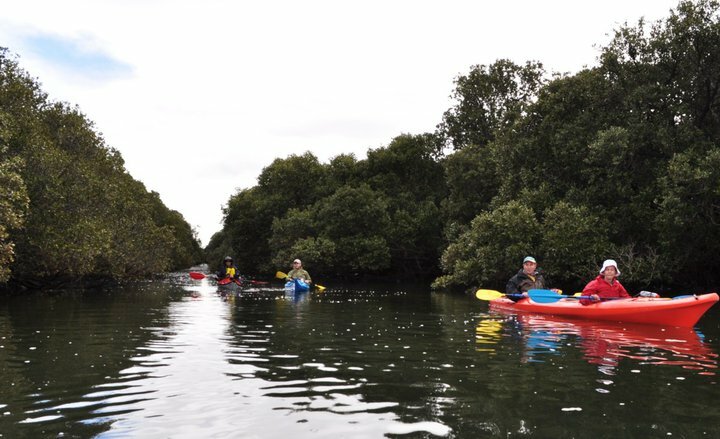 This is a special kayak tour conducted for National Parks SA and aims to showcase the stunning "mini wilderness" of the northern Port River estuary which forms a substantial part of Adelaide International Bird Sanctuary National Park - Winaityinaityi Pangkara and the Adelaide Dolphin Sanctuary. 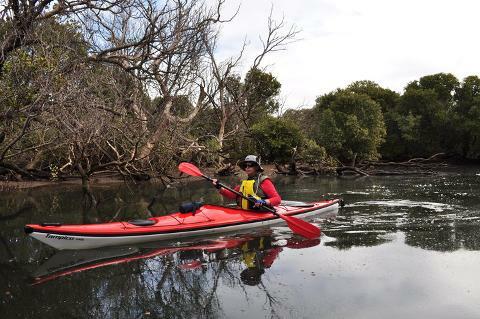 This tour explores the amazing back creeks of the Barker Inlet. This little know "mini wilderness zone" will have you feeling like you are in a remote jungle! 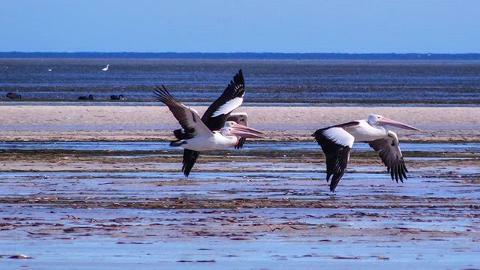 In this area is the largest mangrove forest in southern Australia. Few people know of the amazing environment that this forest has created. It is true old growth forest with some of the trees being up to 600 years old. 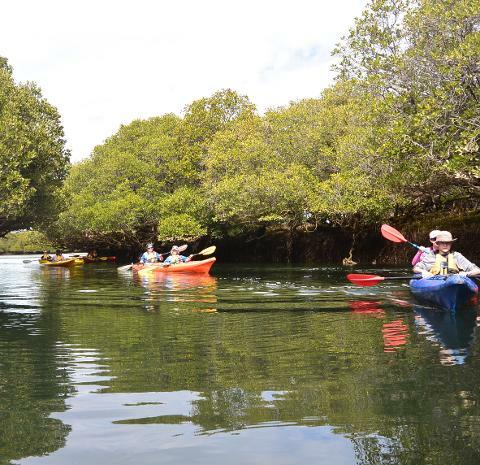 We will lead your through the many interlinked mangrove creeks that wind through the magnificent trees and we may even see some of the Port River Dolphins and many of the species of bird that call this place home. This is three hours of incredible adventure that we can only run when the tides are just right. If you like kayaking and exploring strange and beautiful places you have just got to join us on this one! Don't miss out. This tour simply requires a $20 discount with the balance to be paid on the day. Those of you who are friends of the NPWS will have this balance of payment arranged for you as part of your membership. This tour departs from the Garden Island boat ramp, Garden Island road, Gillman and heads out to the Barker Inlet. 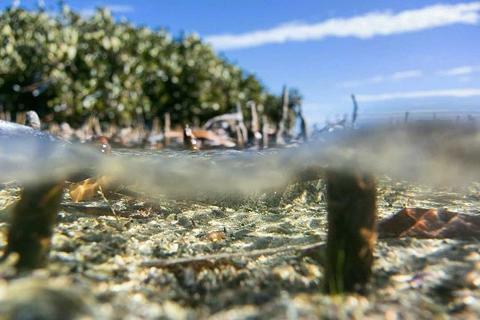 We explore the beautiful mangrove zone of the Barker Inlet. The tour takes approximately 3 hours and is 9 Km or so in length. Some of this time spent in the initial safety and skills briefing. The tour is designed for adults. If you would like to bring the family or children younger than 16 years please call us to discuss before booking. 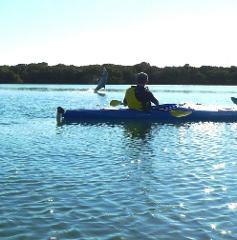 The tours is conducted in stable, very comfortable one or two person sea kayaks. We launch from a boat ramp covered in non-slip matting; you will get into the kayak on "dry land" and we will slide you into the water, with care you will not even get your feet wet! We prefer to supply 2-person kayaks as these are easier to use for all paddlers, are virtually impossible to capsize and allow for a more social and engaging experience. If you are booking as a single a 1-person kayak will be supplied. If you are a novice or would prefer a real easy experience you may be able to paddle with the guide in a 2-person kayak for a small extra fee but places for this upgrade are very limited. Please call us to arrange this service. 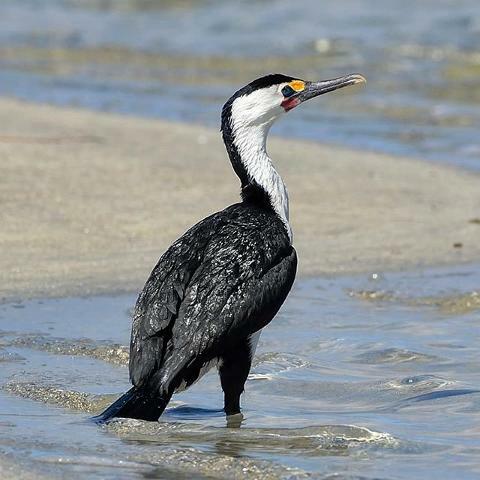 The Bird Sanctuary encompasses over 60km of coastline north of Adelaide, adjacent to Gulf St Vincent, Adelaide’s northern suburbs and spans across four local council areas. 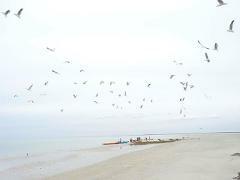 Within the bird sanctuary sits the Adelaide International Bird Sanctuary National Park - Winaityinaityi Pangkara. Winaityinaityi Pangkara means ‘a country for all birds and the country that surrounds these birds’ in the language of the Kaurna people. 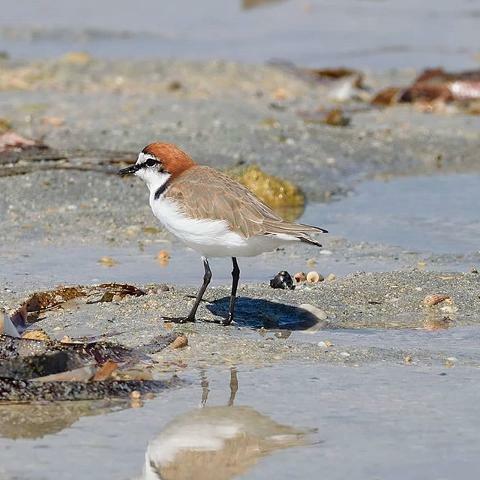 The Bird Sanctuary sits right at the southern end of the East Asian-Australasian Flyway (EAAF) and is one of the key feeding and roosting sites for migratory birds who use the flyway each year. Birds fly from as far as Siberia and Alaska, passing through 22 countries. The area acts as a crucial habitat on this migratory route which is used by more than 5 million birds a year, 27,000 of which call Adelaide International Bird Sanctuary home. Whilst being one of Adelaide’s longest continuous conservation areas, the Bird Sanctuary is home to 263 unique fauna and flora species. In particular, the Bird Sanctuary helps protect resident and migratory shorebirds, including threatened species such as Curlew sandpiper, Ruddy turnstone, Red knot and Eastern Curlew as well productive mangroves, marine and coastal assets, river systems and many significant terrestrial species and ecological communities. Full details will be sent via email immediately once your booking is made. If you do not receive this please contact us straight away. Please review the details taking note of the starting time. Please check the terms and conditions also included. We will contact you by email the day prior to your tour if any of the details change due to weather or other conditions. Please contact us if you will not be checking your email or have any concerns about these details. A quality paddling jacket- wind and waterproof; great for cooler days or to keep the sun off.